Lagotto Romagnolo puppies selected for health and morphology to be excellent companions of life. 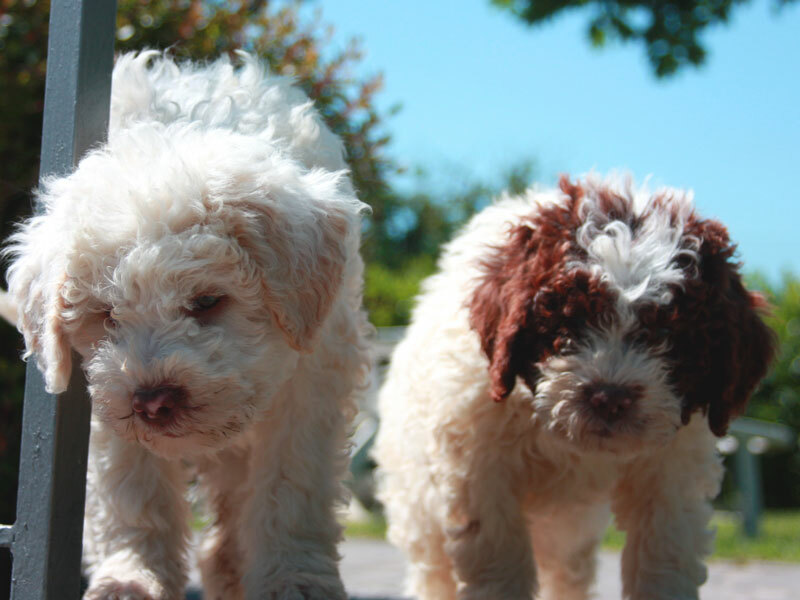 The charm of our Lagotto Romagnolo puppies. Sons of Dogs Lagotti typical of the breed by character and morphology and tested for dysplasia and hereditary diseases. We are a small Breeder Lagotto Romagnolo. Our Lagotto Romagnolo dogs are tested for the main hereditary pathologies of the breed. We try to breed in the best possible way. 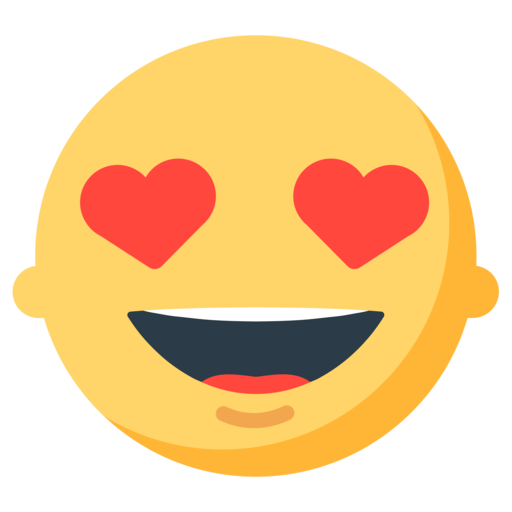 We look at health, education, and not at least character. 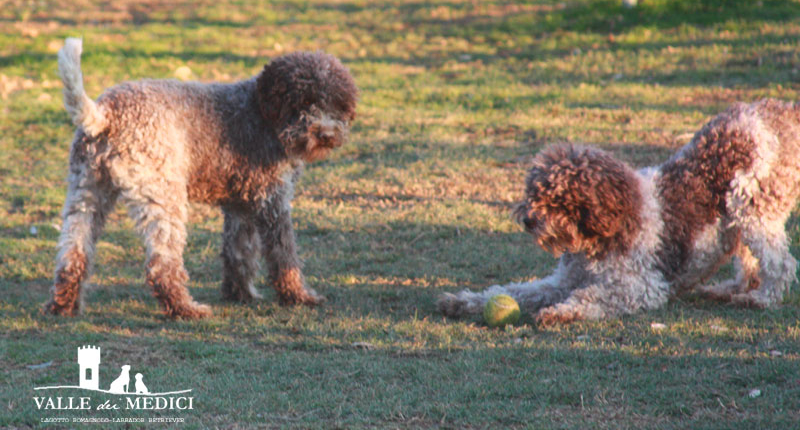 In our site we give as much information as possible about our Lagotto Romagnolo dogs. Character, genetics, Pedigree, health and education. How we organized our kennel to give our dogs every comforts and attentions. From birth we follow the puppies to prepare them to enter enthusiastically into new families. Our mission is to breed puppies with special character. We choose our Lagotto Romagnolo puppie knowing its future family. Our Puppies grow in a family environment and have as much experiences as possible, dogs of other breeds, children. Our dogs live in our house, they run into the garden, fortunately great. They are always with us, for walks and looking for truffles. With kindness and dedication we let our puppies appreciate the Truffle fragrance. We take care of every single puppy to have excellent Dogs for their family. All of our family are involved in breeding. My wife Martina is Cinofile Instructor, his sister Camilla is our VET, even our children Linda and Giovanni give their contribution in socialization.